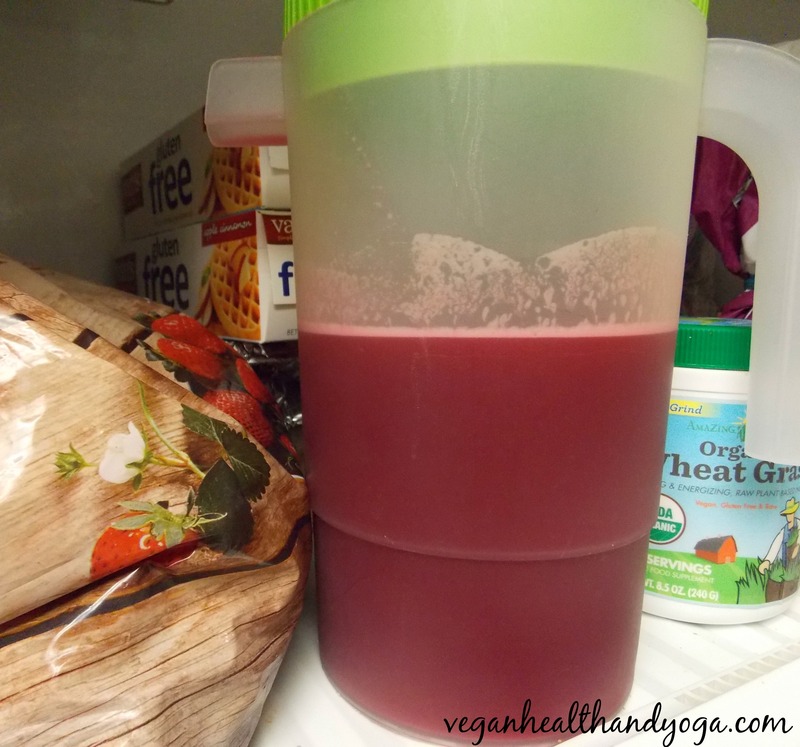 Trying to find a way to drink down more wheatgrass juice? If your like most people, myself included, you’ll never get used to drinking any amount of pure wheatgrass! Well, the good news is you don’t have to drink it alone to reap all of its benefits! I’ve been experimenting with different combinations to try and “mask” that extreme bitterness wheatgrass is notoriously known for. 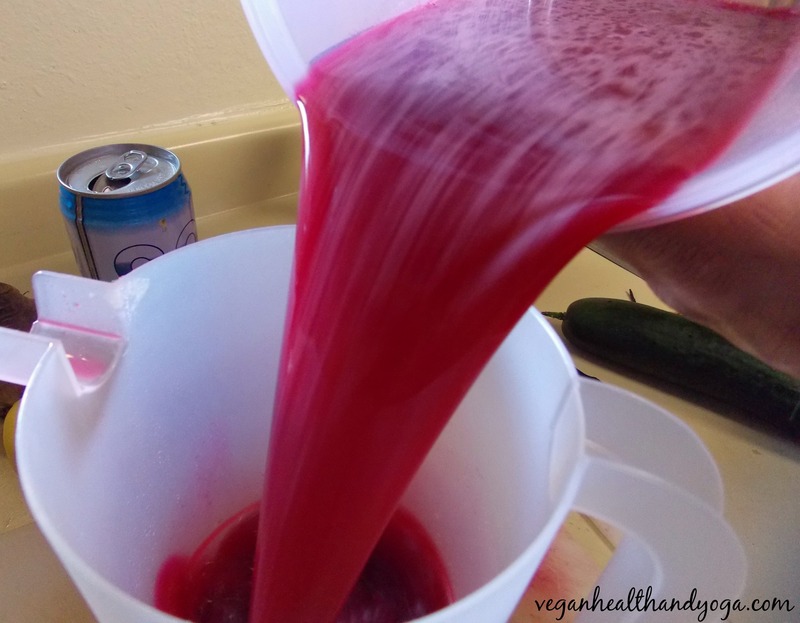 But before you go and shrug off any chance of drinking some, I’ve created and am sharing this spicy, sweet, and tangy way to actually enjoy it for anyone willing to try. Who says you can’t enjoy a nice strong “shot” to warm and strengthen you up? 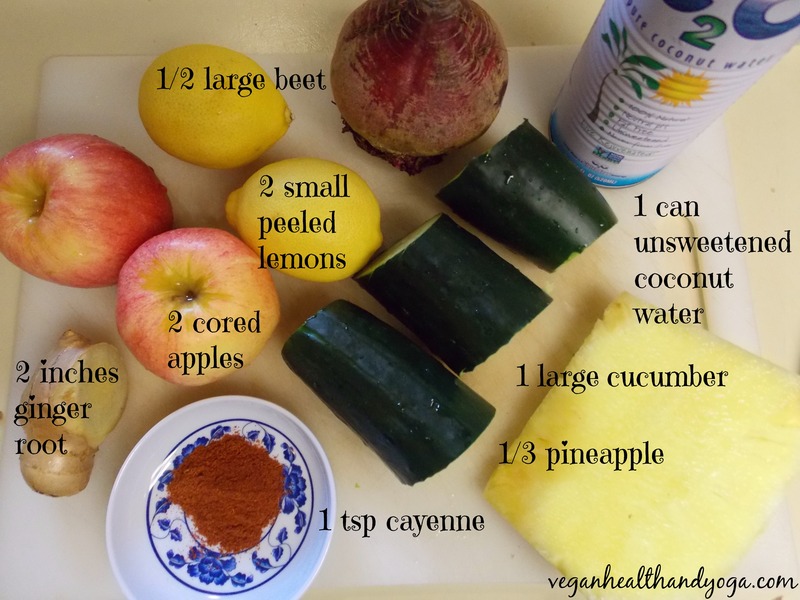 So get juicing and bottoms up to great health! 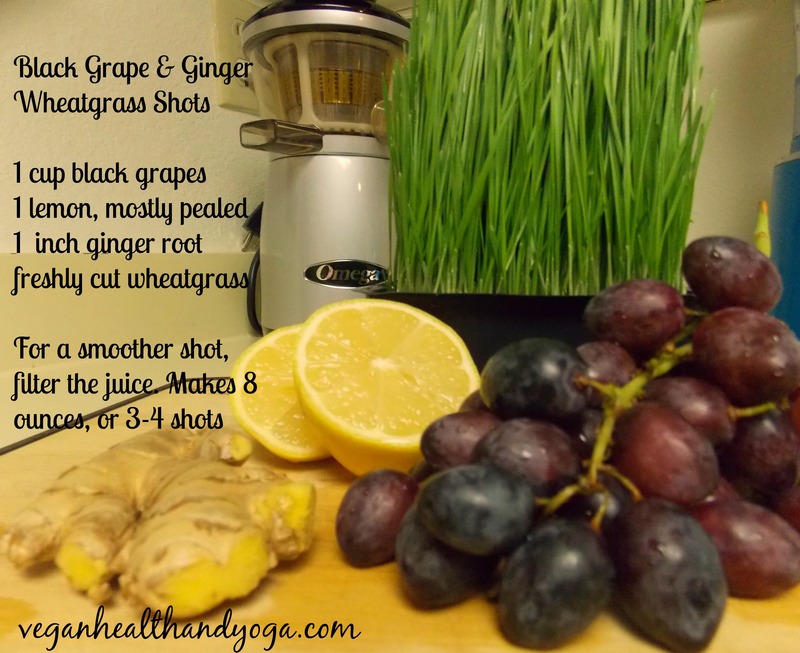 Make sure to use black or purple grapes for this recipe since their sweeter than most others and have a distinct flavor that helps to offset the strength of wheatgrass. The lemon here does an excellent job in tricking our taste buds from the chlorophyll overload. 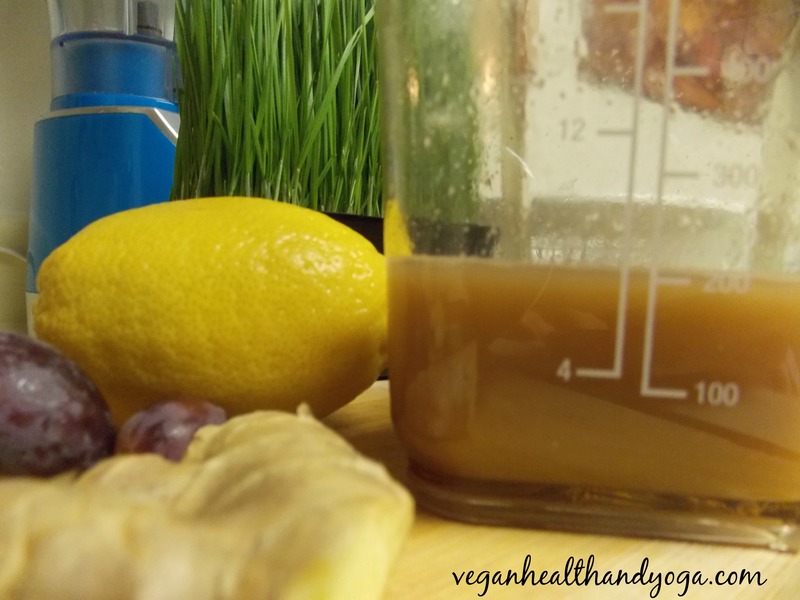 The ginger adds a nice warming and spicy kick and works along with wheatgrass in providing great anti-cancer benefits. 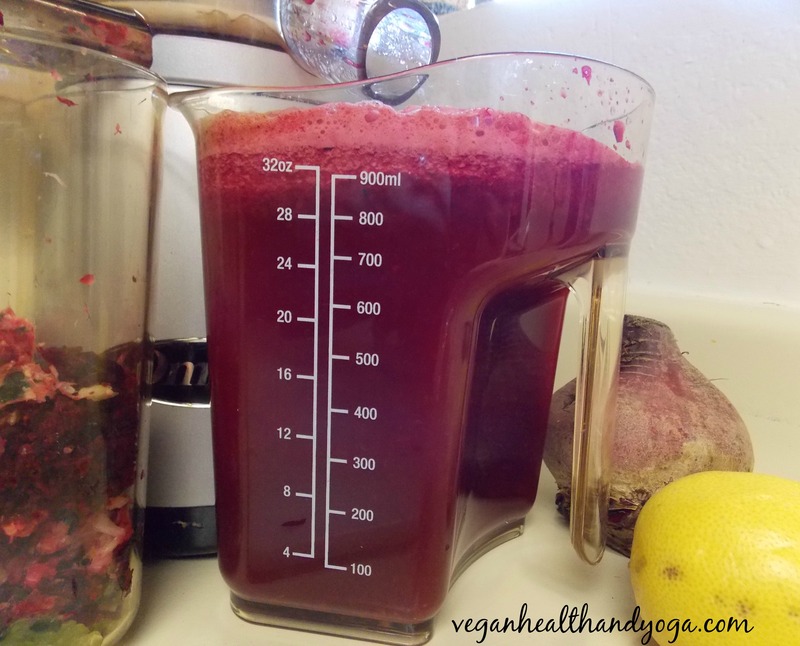 Make sure to juice the wheatgrass first so you know how much total will be going into your juice. I recommend starting out with 1/2 an ounce and then build up to a full ounce. Feel free to use up to 2 cups grapes to customize the strength and flavor to your preference. To get an idea of what drinking wheatgrass juice can do for your health, visit Hippocrates Health Institute, and read The 18 Wonders of Wheatgrass! Oatmeal isn’t just for breakfast. Oatmeal is actually pretty versatile and can be added into smoothies and used in baking recipes too. These cookies have NO DAIRY, NO EGGS, and NO REFINED SUGAR. They are easy to make and come out nicely from the oven with the added shredded coconut. Their not only delicious but their loaded with fiber, potassium and exploding with spicy flavors! You can do your heart a lot of good by eating more oatmeal. Oatmeal is known for a phytonutrient called Beta-Glucan which can reduce the risk of heart disease. It can boost the immune system and lower blood sugar spikes in diabetics. Just one serving each day can reduce high LDL levels (bad cholesterol) by 8-23%! 1. Place bananas into a mixing bowl. Smash and mix them until they are completely mashed. 2. Next, mix in the ginger powder, Chinese 5 spice, and vanilla extract. 3. Then mix in rolled oats very well and then add the flour until completely blended. Now last but not least, mix in the raisins and shredded coconut. 4. On 2 sprayed cookie sheets, spread out cookies with about 2 tablespoons of batter for each cookie. 5. Form the cookies by flattening and rounding them with a fork. 6. Bake for about 20 minutes at 400 degrees. Their done when just the edges of the cookies start to turn golden brown. 7. Use a spatula to remove them onto a plate. For a little extra sweetness, lightly drizzle cookies with honey after removing.